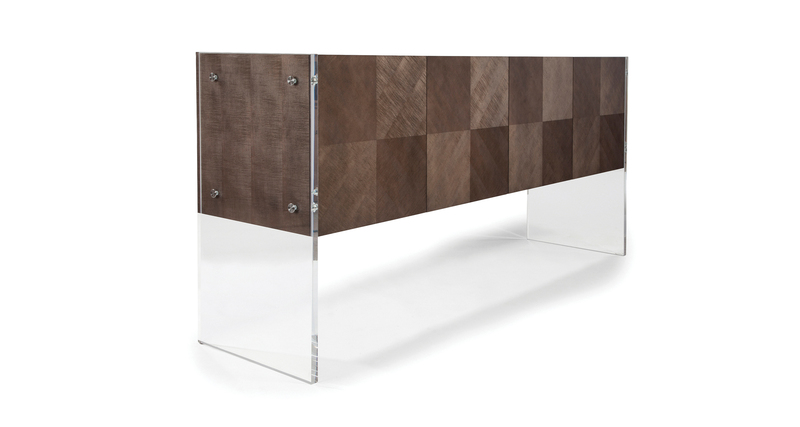 Our Swanky credenza is a timeless modern classic. 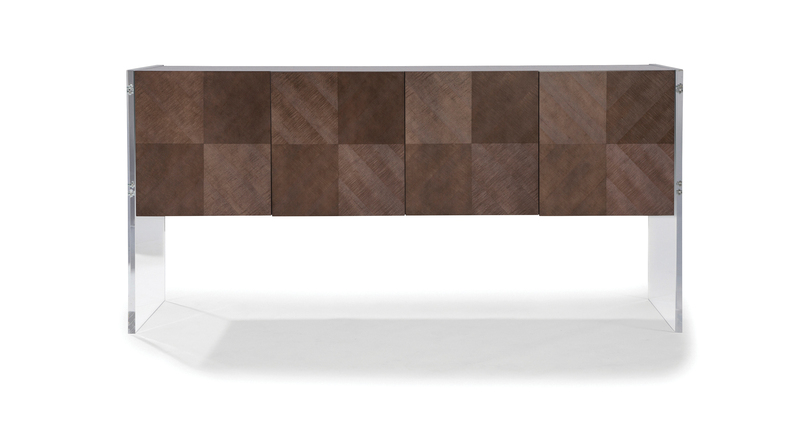 The versatile Swanky sideboard features a quartered figured maple top and sides with reverse diamond quarter figured maple doors. Swanky is available in any TC wood finish. One inch thick clear acrylic legs are standard. Decorative metal discs are available in brushed stainless, brushed bronze or satin brass. Also available with a polished stainless steel base as No. 1349-47 or as a hanging unit as No. 1349-46.